The play, Night Light, which centres on the gut-churning experience of two young people seeking asylum, comes to the Capstone Theatre on Wed 25 January. Presented by Unity Theatre and specially commissioned by Mandala Theatre, a new Oxford-based theatre company, which has social justice at its core, the play previewed at an international theatre festival in Grenoble this summer, to enthusiastic reviews. Night Light is Mandala’s debut production. 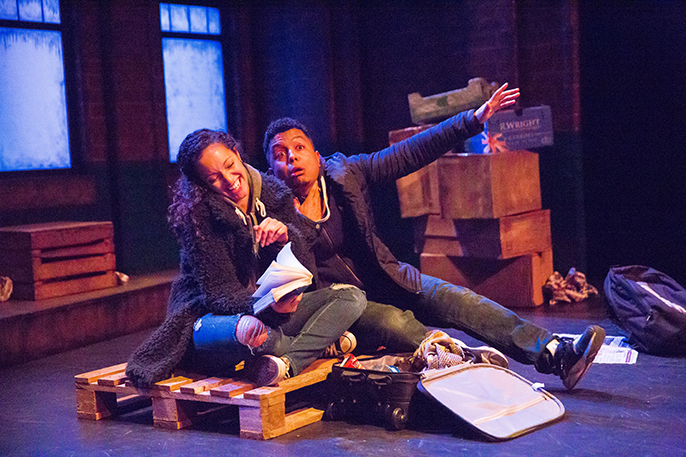 Written by award-winning playwright Nadia Davids, and directed by Mandala’s artistic director Yasmin Sidhwa, formerly creative learning director at Oxford’s Pegasus Theatre, the play highlights the situation of young people arriving in England, alone and seeking sanctuary, and what happens to them when they turn 18.